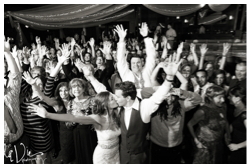 We have over 750 songs and play a unique mix of music styles all individually tailored to meet the tastes of you and your guests. While we are best known for filling dance floors, we are equally happy to play cool cocktail jazz, and a number of other unusual styles. We do COMPLETE VARIETY Cover, Contemporary, Rock, 50’s, 60’s, 70’s, 80’s, 90’s, & TODAY! Dance, Pop, Wedding Songs–Great Oldies & Newer Music. The music is WELL-KNOWN LOVED SONGS-GREAT COVER & “FUN” You & Your Families & Guests will have a Great time Dancing & Singing all night long. We will even learn a specific song for you at a reasonable price which has to be charted for the musicians and rehearsed by the band.